This session will analyze the $200 million Maria Duval mail fraud as a case study for how scams targeting the elderly are perpetrated and become so difficult to stop. It will also cover a pharmaceutical fraud that aggressively targeted nursing homes. The presenters will discuss ways they’ve seen scammers attempt to conceal their identities and target elderly victims, and how — as investigative journalists — they were able to cut through the layers of shell companies and front people to identify the real fraudsters. You will learn about searching public records and other helpful tools to track criminal activity from reporters who have extensive experience with them. Blake Ellis is an award-winning investigative reporter for CNN. Her work has exposed everything from widespread sexual abuse in nursing homes to one of the longest-running scams in history. It has also inspired legislative action and government investigation. Ellis, and her longtime reporting partner, Melanie Hicken's groundbreaking investigation into the secret world of government debt collectors won the prestigious Heywood Broun Award of Distinction and inspired lawmakers to take action with legislation aimed at closing the loophole highlighted in the stories. They were finalists for a Peabody Award for CNN's coverage of guns in America, and the two journalists have been honored by the International Association of Broadcasting, the National Press Club, the National Endowment for Financial Education, the Radio Television Digital News Association and the National Association of Consumer Advocates. Ellis was also a recipient of awards from the Society of American Business Editors and Writers and the Newswomen's Club of New York. Ellis regularly appears on CNN and other television and radio networks to discuss her investigations. 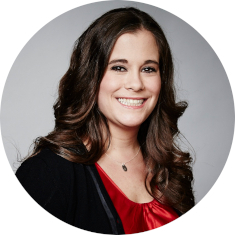 Melanie Hicken is an award-winning investigative reporter for CNN. Her work has exposed everything from widespread sexual abuse in nursing homes to one of the longest-running scams in history. It has also inspired legislative action and government investigation. Hicken and her longtime reporting partner, Blake Ellis's groundbreaking investigation into the secret world of government debt collectors won the prestigious Heywood Broun Award of Distinction and inspired lawmakers to take action with legislation aimed at closing the loophole highlighted in the stories. They were finalists for a Peabody Award for CNN's coverage of guns in America, and the two journalists have been honored by the International Association of Broadcasting, the National Press Club, the National Endowment for Financial Education, the Radio Television Digital News Association and the National Association of Consumer Advocates. Hicken regularly appears on CNN and other television and radio networks to discuss her investigations. Before joining CNN, Hicken worked for the Los Angeles Times Community News group, where she won awards for her local government coverage and investigative reports. 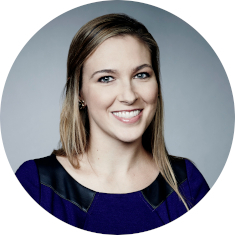 She is a graduate of Syracuse University's Newhouse School and holds a master's degree in business and economic reporting from New York University.